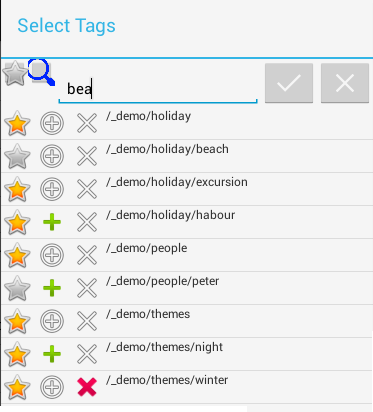 * Folderpicker: animated pathbar makes it discoverable. * Display result in gallery or geographic map from openstreetmap. 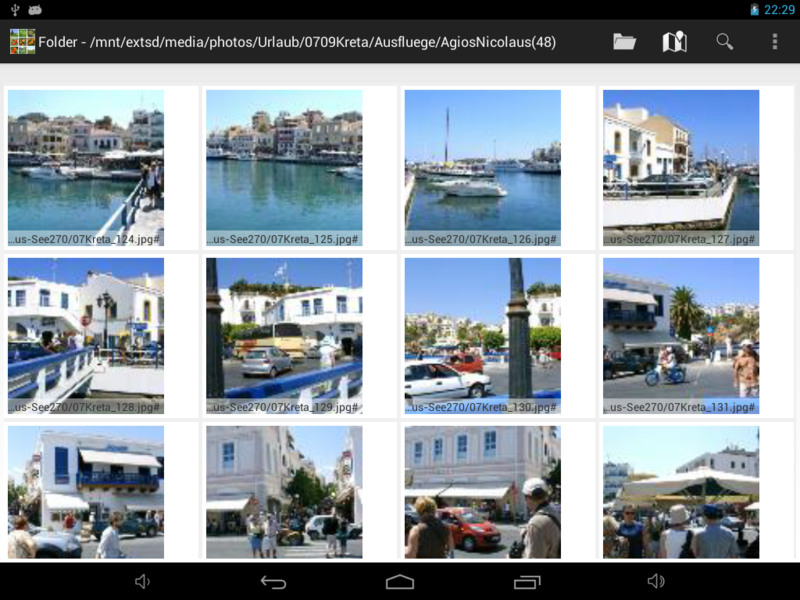 * Detail view features zooming, swiping for next/previous image. * Buildin file manager for photos: find, sort, view, copy, delete, send, ... .
* Can handle big image collections (20000+ images in 1000+ folders). * Uses Android's image content-provider. No initial image scan neccessary. * READ_LOGS to read and save potential crash-logs to a textfile.